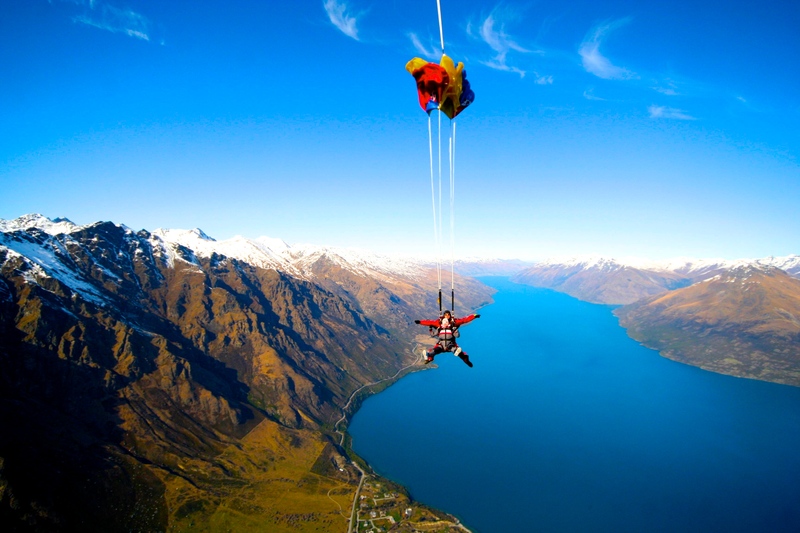 Skydiving in Queenstown, New Zealand! As some of you may already know, I’ve been dying to go skydiving for a very long time! 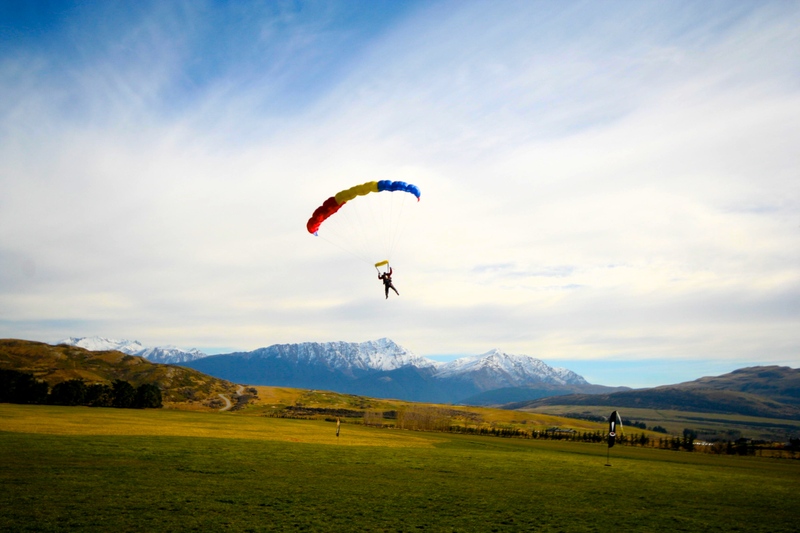 Having done a lot of rock climbing, zip lining and other adventure and thrill-seeking activities in my past, I wanted my skydive to be beyond exceptional. 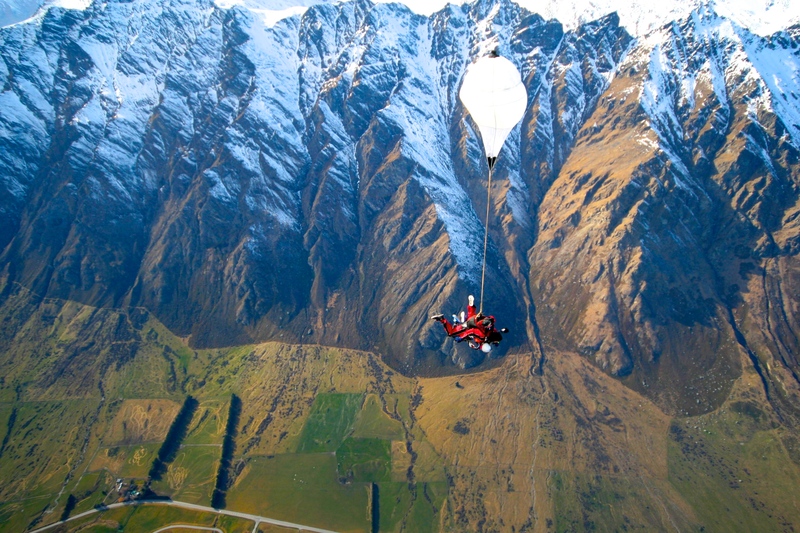 So I went out of my way to save my first skydive for the adventure capital of the world: Queenstown, New Zealand. Luckily for me, the weather in Queenstown was fantastic when I was there in late August, so I had my pick of nice days to dive on. 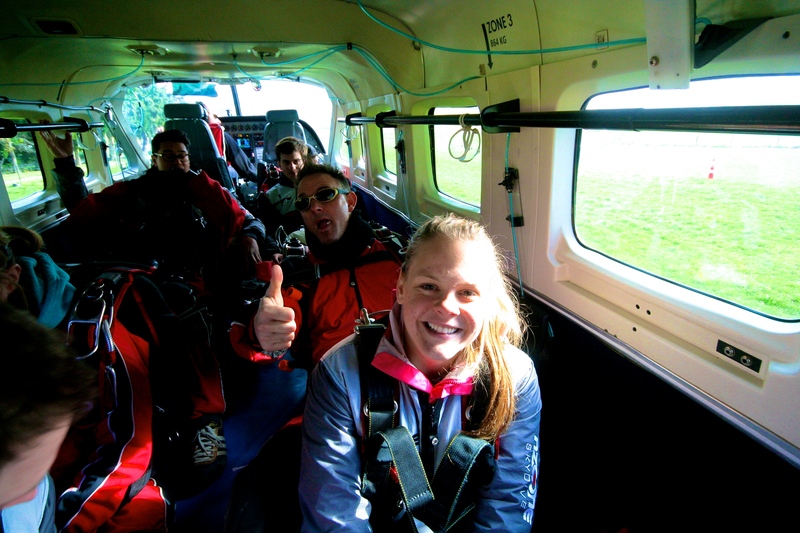 On the day that I ended up doing my dive I didn’t actually intend on throwing myself out of an airplane at all. I was meant to be going on a relaxed tour of Milford Sound, but my tour company failed to pick me up. So instead I booked myself in for a skydive, with the takeoff time scheduled for one hour after deciding I was going to be diving. Even though I wasn’t exactly mentally prepared for the dive, it worked out better for me in the long run; having more time to think about what I was about to do would arguably have sent my anxiety sky-high (pun a little bit intended), and I was almost guaranteed good weather conditions, so my dive would both be beautiful and safe. 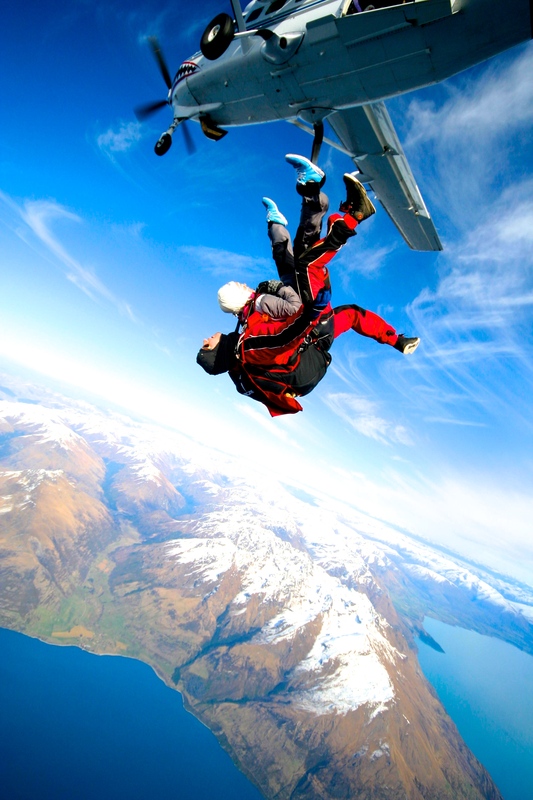 Tip: the best time to do a skydive is in the morning, as weather tends to change in the mid-to-late afternoon, which means your dive could be cancelled or delayed. 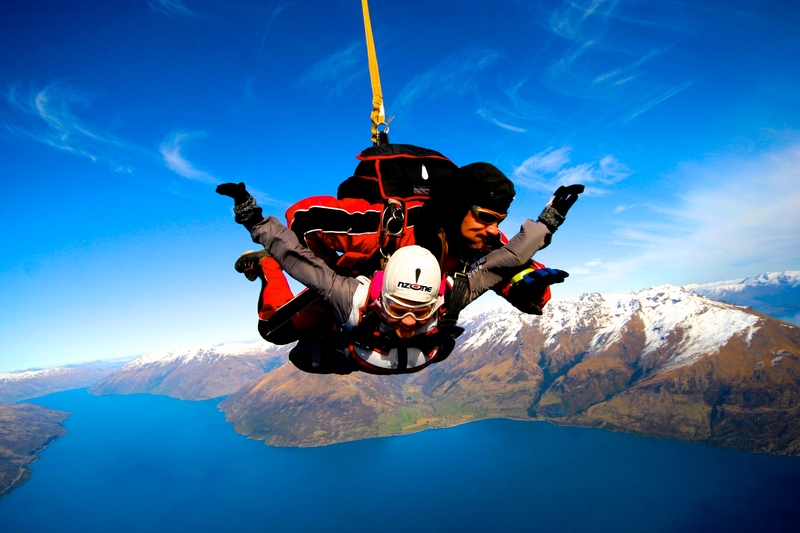 Its also best to book your skydive early in your trip, if you’re traveling, so that you don’t hit a patch of bad weather and end up not getting to dive at all! 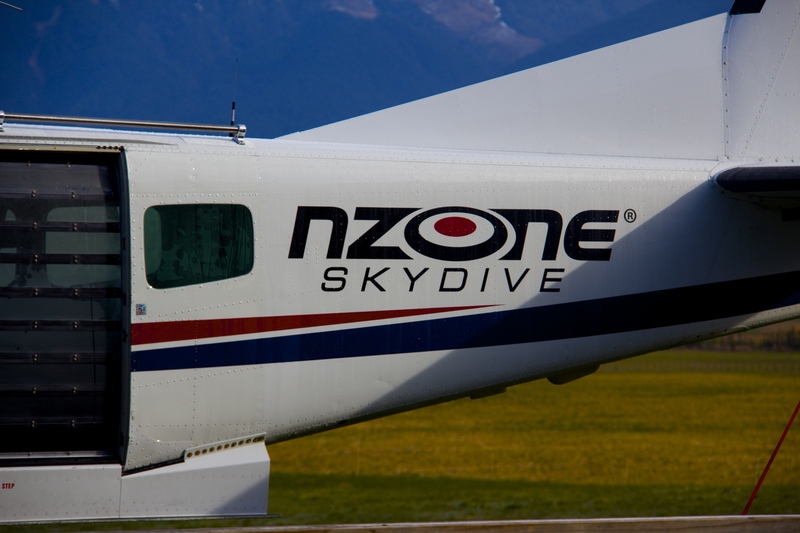 The company that I jumped with is called Nzone and their office was conveniently located on one of Queenstown’s main drags, Shotover Street. I arrived at 9:00 in the morning for the 9:30 am jump, which was really the 10:25-ish jump. We spent the first half hour going over basic safety protocol and video and picture options before learning a little bit about what our dive experience was going to be like. After being told your options you get to choose whether you want to do the 12,000ft or the 15,000ft skydive, and I would definitely recommend doing the 15,000ft! I would recommend knowing your weight approximately before you go to dive, as there are weight limits in place for safety reasons. They do have a scale in the office, but it seems like it would be a bit embarrassing to weigh yourself in front of a room full of people, especially if you find out you dont make the cut. The weight limit is 100 kg, or 220 lbs. At 9:30 our van came to pick us up, and we were driven about 20 minutes to the dive site. 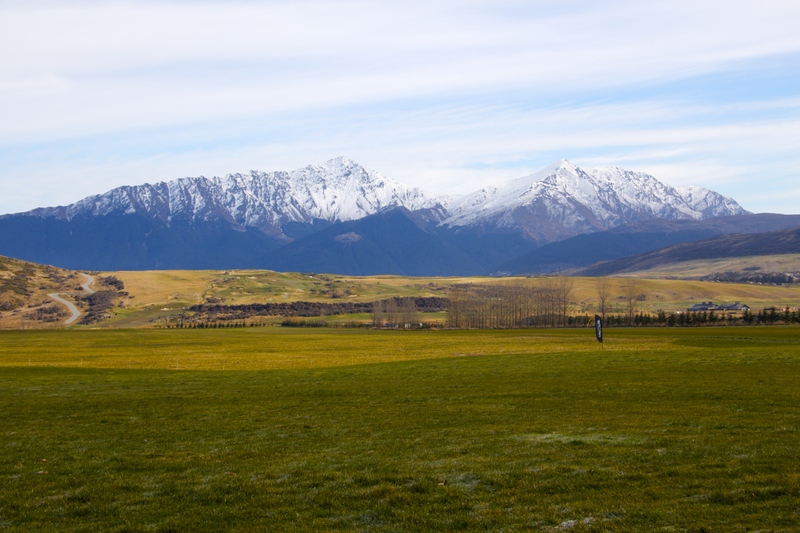 It was situated ideally, with mountains flanking both sides of Queenstown’s big, blue lake. The air was clean and crisp, and it was chilly in spite of the sunny weather. Our group of 12 or so was broken up into two groups of 5-6 people, and sent out on two different airplanes. My mini-group was sent out on the second airplane, so we got to relax in their heated lounge and prepare ourselves as we watched the first group go up and down before us. Fifteen or so minutes later we went to the bathroom one last time, then headed out to get ourselves dressed. Our uniforms were very unfashionable grey jumpsuits, secured at the wrists and ankles with velcro and cinched tight with an oppressively thick harness, which made walking incredibly uncomfortable. We were introduced to our dive instructors, who attached a soft helmet, a pair of goggles and a pair of gloves to our uniforms, and then introduced us to our photographers before setting out on the plane. The plane ride up was easily the most horrifying part of the entire experience. 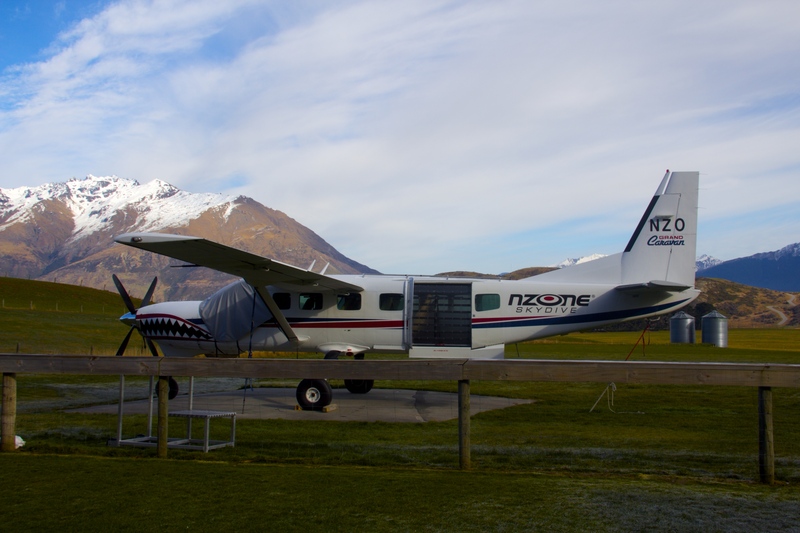 Before getting into the plane, I’d been relatively calm and collected, moreso than I would have thought knowing I was about to throw myself out of an airplane to freefall for 7,000 ft. But as soon as that plane began to reach altitude, I lost my cool. I was even thinking of backing out then and there, but fortunately was one of the first people out of the plane. Before I knew it my dive instructor was showing me his altimeter, and it was time to suit up. My photographer snapped a picture that does not do my level of panic justice, and then my helmet and goggles were put on. Within seconds I was shimmied to the side of the plane, and after a super slow count to three, I was suddenly careening out the door of the open aircraft. I’m not sure if I’ve ever been quite as close to passing out as I was right then, looking down at the 12,000 ft between myself and the ground. After getting to the edge, I was shoved out of the plane face first and spend a few horrible seconds summersaulting weightlessly through the air, which was the worst and most disorienting part of the whole experience. After that it was all smooth sailing, without any more flips or other disorienting motions. After a few seconds it didn’t even feel like I was falling any more; instead, it felt like I was floating in an anti-gravity chamber, and the ground was coming at me. Mostly, things just got bigger, and I wasn’t feeling much of anything at all, except for the pressure in my ears from the sudden altitude change. Value for Money: Good, if you’re into that sort of thing. Of course you want to pay a lot of money for safety, but its still hard to stomach paying $500 for anything. Suitable for: Anyone with a thirst for adventure without bad panic-reactions. Recommend: Definitely! Probably the best thing I did on my entire trip. Previous Post New Computer and New Trip!